Sorry for the delay as I was concentrating on updating my Apple device to iOS 5. The frustration was that their servers got overwhelmed and I wasted the whole afternoon. My devices were not able to be updated due to backup errors. Another issue was RIM’s BlackBerry being down throughout the world. I was able to go online during my radio show but after my show and hopping the bus, I was Twitter-less. This leads to the interview with Adam Waito of Adam & The Amethysts. I had a chance to meet him at Raw Sugar Cafe on October 7, 2011. Great band and they’ve been garnering a lot of buzz and airplay as Flickering Flashlight got released. Probably one of the reason for their buzz is being that they’re signed with Ottawa’s Kelp Records. The band had a good turnout at Raw Sugar Cafe for that Friday night. The interview itself is posted below on the audio and podcast section. Also on the show were the top 10 countdown and songs that used from Apple tv ads. Aside from the insanity of BlackBerry and Apple, later that Wednesday night, I attended the launch party for TheTop10.ca. It was nice to see a few people and I totally ate a lot of smoked salmon. Kudos to the person who planned out the party. Oh yes, my Apple devices were updated to iOS 5 later that night. Without further ado, the playlist from Wednesday’s show and the first podcast is at this link. The October 12th radio show and podcast. Press play to listen. After an exciting time in Montreal for Pop Montreal on the previous weekend, I’d never expect to attend another event, in a fashion sense for Ottawa. 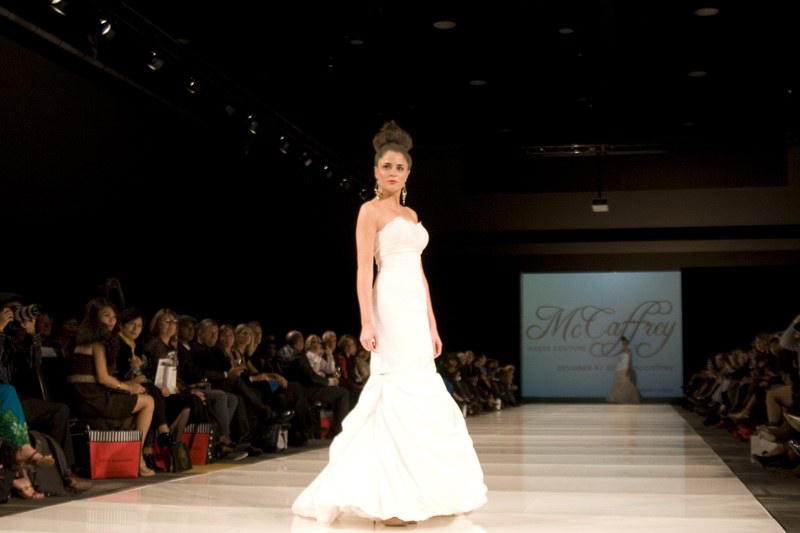 That’s right, Ottawa Fashion Week was held on September 29 to October 1. For myself, I only attended Friday and part of Saturday’s night event. I had mixed feelings in wanting to attend because I couldn’t get over being in Montreal and Arcade Fire. It was a bit of fatigue setting in. At OFW, I settled being a photographer and I was surrounded by professionals At least, a good friend attended the Fall edition of OFW and we basically had a great time laughing and bringing up jokes. At least I wasn’t intimidated by photographers. It was definitely a blast to have him around and bringing my funny antics at events like this would bring a lot of fun. It was also a privilege to meet the blogger, Thoughts of a Ninja. She was doing the live video stream for OFW and it sure looked like a fun job to video broadcast on the Internet. It was also nice to see Pop Champagne, May-Jun, Sincerely, Sabrina and countless others at the event. As for Saturday night, I missed parts of showings as I went to 168 Sushi for a friend’s birthday. The most hilarious part was sneaking out some sushi as with “all you can sushi,” they’ll throw away the leftover if you can’t finish. I promised my photographer friend and a friend (who’s with OFW) that I will save them sushi and I did. It’s definitely a moment for 2011 to remember. I was supposed to record a special podcast but the endless orders sushi’s came in and I didn’t record for the closing part as I gave my friend the Kanpe tea from DAVIDsTEA. Don’t forget to check the photos below. I tried my best taking them but hopefully you enjoy the photos. I picked a select few as I took so many photos.